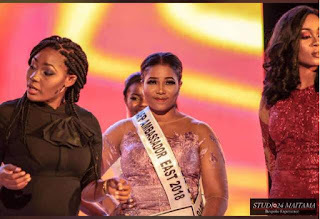 The graduate of philosophy from nnamdi azikiwe university who is Currently serving with federal road safety headquarters in abuja told Newsmen On Saturday after she was crowned the Miss Ambassador For Peace South East that she hope to use her crown very well to affect lives and be an Icon. I will like to help the less opportune with writing materials, if possibly send some girls back to school Especially those who were abused at young age, maltreated. The organization, as the name implies, is peace-driven. Its singular mission is to positively impact the young ones, and they are reaching out to a lot of people and forming movement of school leavers across the country. The Ambassador for Peace Agency led by Mr Kingsley Amafibe has a vision to promote Peace in Africa through pageantry and peace education, and it is partnering with schools,NGOs, Cooperate and government bodies in this regard. 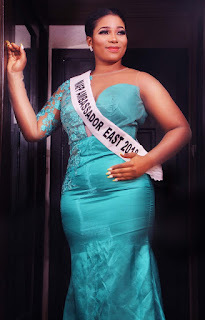 She also promised to use her office as the queen to work towards promoting peace for the next one year, considering as it is the watch-word of the agency.